peanut butter and death sandwich, originally uploaded by aarn! +14th April, 2008+. 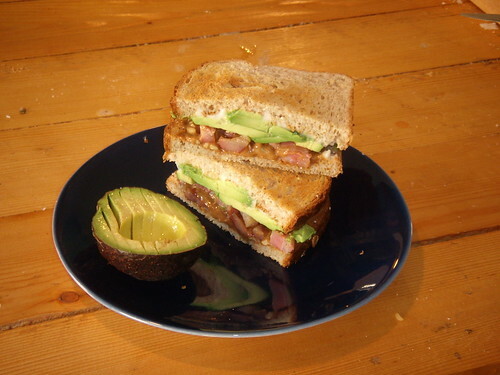 peanut butter, fried pancetta, avocado, and a little mayo on toasted quinoa bread. i couldn't tell if it was good or not. i think yes, it was.